At Carr Hill the health, safety and well-being of our children is of paramount importance to all of our staff. Our children, and all children, have the right to grow up safely and live happy lives where they can thrive! Our children have a right to be safe in our school! The person in Carr Hill who is responsible for keeping you safe is Mr Harris, our Headteacher. If you have any concerns or worries about your friends, your child or another child then please talk to Mr Harris. Mrs Chandler, our Deputy Headteacher, and Miss Curry, our Family Support Worker, help Mr Harris to keep our children and families safe. Our Governing Body has a duty to ensure that the school meets its statutory responsibilities and that the children attending Carr Hill are safe. The following Carr Hill Governors make up our safeguarding committee with Mrs Curry and Mr Harris. If you have concerns about the safety of a child in Gateshead then you should talk to someone immediately. You can contact Children’s Social Care on 0191 433 2653 during office hours or 0191 477 0844 during evenings, weekends or bank holidays. In an emergency you should contact the police on 999. For non-emergencies you can contact Northumbria Police on 101. You can also report concerns to the NSPCC by text message on 88858. This service is free and anonymous. 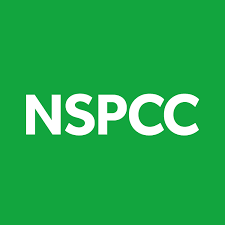 The NSPCC aim to respond within three hours. You can talk to CHILDLINE about anything. No problem is too big or too small. However you choose to contact CHILDLINE, you’re in control. It’s confidential and you don’t have to give your name if you don’t want to. 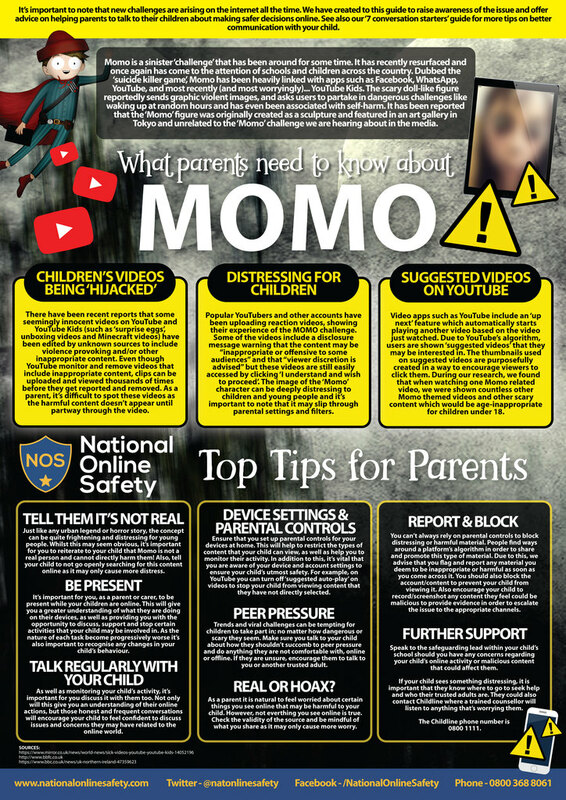 We have been approached by a couple of parents and carers about MOMO which is a sinister challenge targeting young people on the internet. MOMO has been heavily linked with apps such as Facebook, WhatsApp, YouTube, and most recently (and most worryingly)… YouTube Kids. We have included some top tips below to help you keep your children safe when they are online – the biggest piece of advice we can give you is: do not let your child have access to these platforms unsupervised! We try to keep you, our children, safe with our technology in school but you must keep yourself safe at home. Please be very careful and listen to the advice we give you when using the internet at home and at school. A superb webiste on internet safety and up to date advice on new and current ‘apps’ and ‘web-pages’ is Net Aware! It is a great guide to the social media sites that children use!